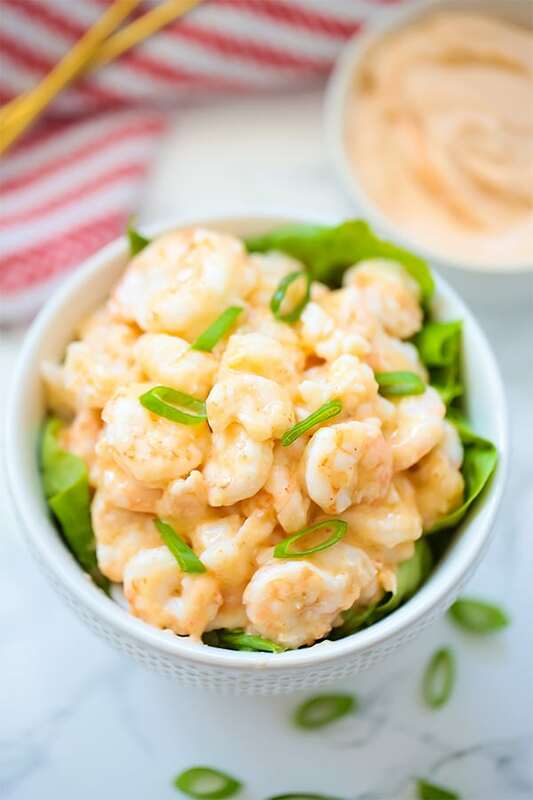 This bang bang shrimp will knock your socks off! You won’t believe that it’s paleo, Whole30, and has an AIP modification. One of the biggest things that held me back from healing with a real food lifestyle for so long was that I didn’t feel like I could have delicious food. I thought once grains and processed food were out of the picture, food had nothing to offer. I was so wrong, and this bang bang shrimp proves it! Shrimp was always one of those things I was iffy about growing up. If it wasn’t seasoned well, I didn’t want anything to do with it. 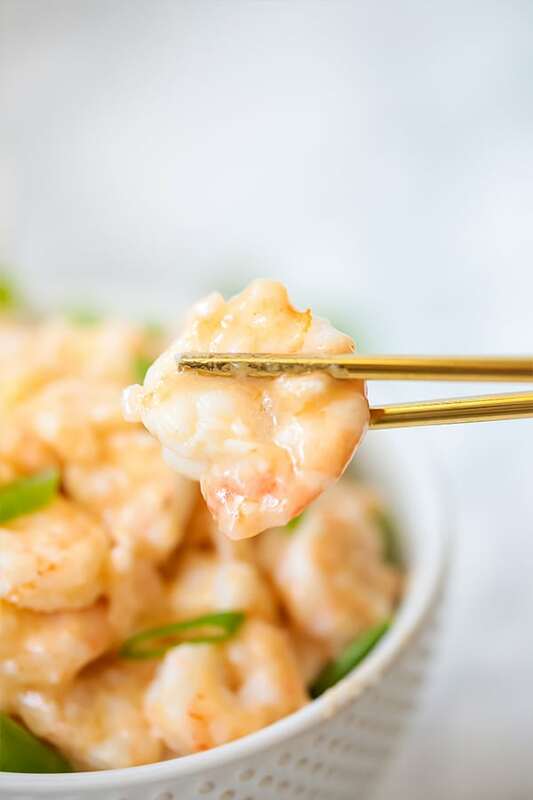 This shrimp is literally swimming in an amazing delicious sauce that will blow you away regardless of how you usually eat! It’s creamy, it has a serious punch, and it’s packed with flavor. I used a key west pink shrimp, but you can use a larger shrimp if you’d like. So, this sauce has two modifications! One for those who can tolerate nightshades and one for those who can’t. Use a paleo mayo, or make your own at home. The AIP bang bang sauce has a lot less punch and spice, but it still tastes great! This makes the creamy base. You can use a homemade version, or this. These are the seasonings which help add a bit of spice to the sauce. Pat the shrimp dry and season. Toss with arrowroot starch until lightly coated. Fry in the coconut oil in two batches. Cook for 2-3 minutes on each side, and remove from the pan when fully cooked. Remove the shrimp and set aside, leaving the coconut oil in the pan. 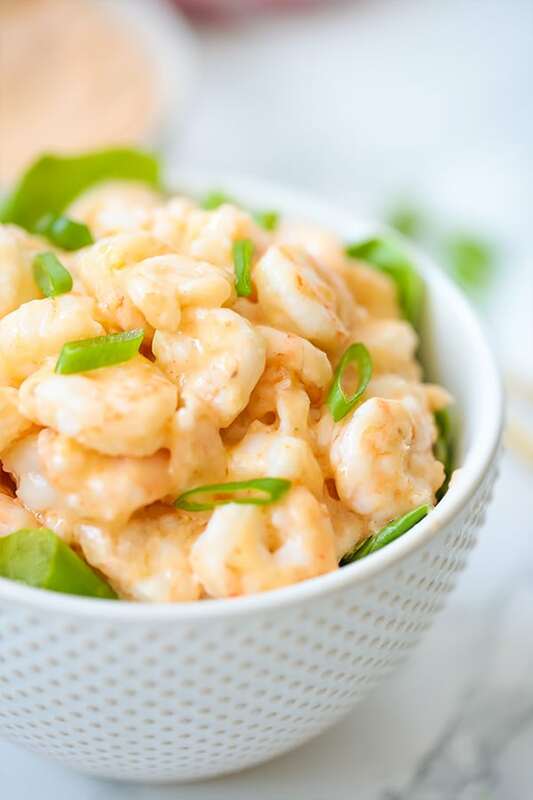 Toss the cooked shrimp with about two thirds of the sauce, reserving some of the side for dipping. Top with green onion and extra salt to taste, and enjoy!